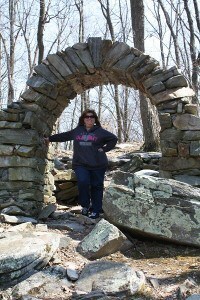 Pam and I decided, on a beautiful and breezy April day, to explore the quaint Frederick County town of Burkittsville, MD. If you haven’t seen or been to Burkittsville, you really ought to pay it a visit. 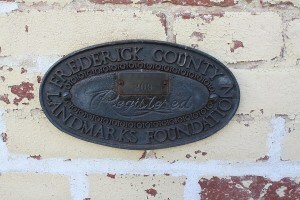 It’s located at the western-most tip of Frederick County along Route 17, between Middletown and Brunswick. The town is bordered by farmland. 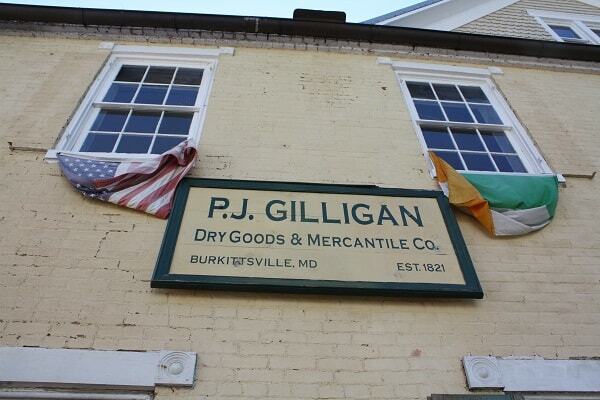 Keep your eyes open for the Burkittsville sign, though, because if you don’t pay attention you will definitely miss it! 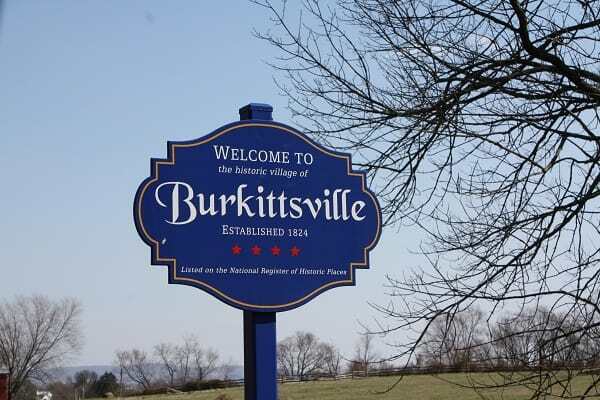 I know Burkittsville pretty well, as I have driven through it many times in my travels as a home-health Occupational Therapist. 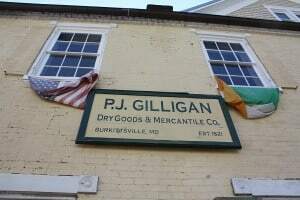 I have been lucky enough to have had the opportunity to drive down Main Street, as well as the rural areas of this small town, population around 151 (according to the 2010 census). 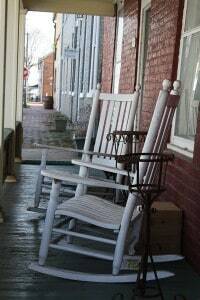 I have paid visits to several of it’s residents, for therapy, and I can say from personal experience that the people and the place itself are just lovely (and I never use that word, but it just fits!). 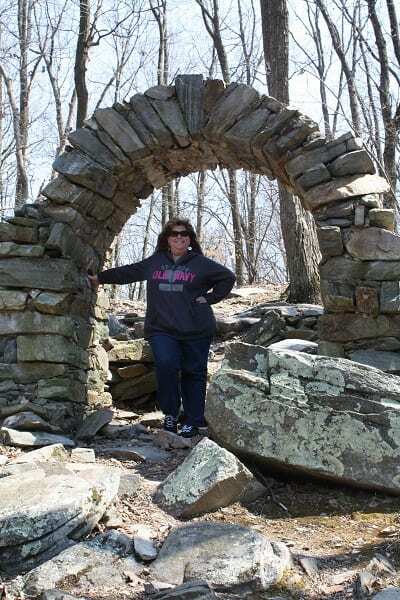 I have always wondered about it’s history, so this visit by Pam and me, was such a great reason to find out more about it! 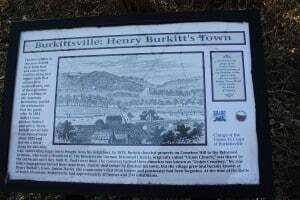 In the late 18th and early 19th centuries, Burkittsville was a service center for the rural area that surrounded it, as it was home to churches, houses and trade establishments. 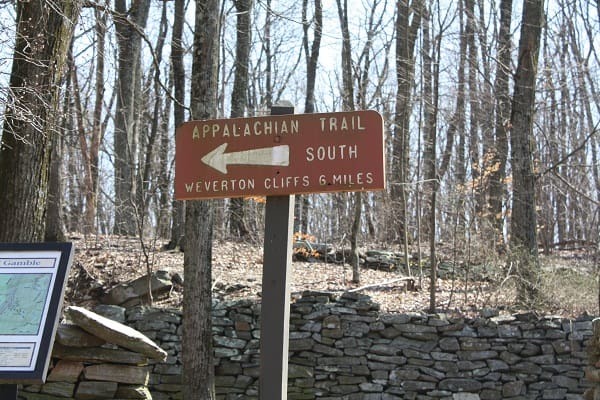 I knew that there was a movie called “The Blair Witch Project” that was made back in the late 1990’s, that supposedly took place in Burkittsville. 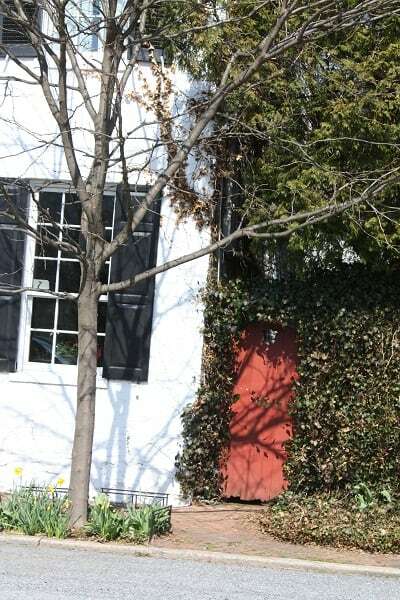 What I didn’t know, though, was that most of this movie wasn’t even filmed in Burkittsville, and that the entire film was fabricated. 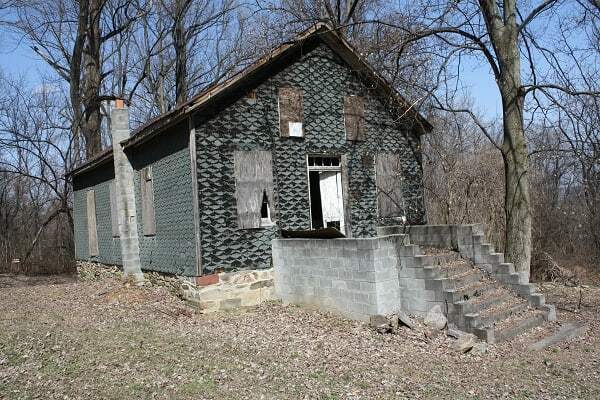 It definitely was a spooky movie, but unfortunately it attracted ghost-hunters and vandals to Burkittsville for a period of time. 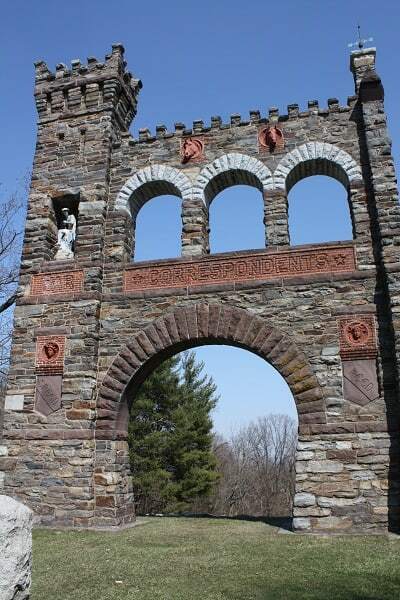 There are some ghost stories that have been passed down through the generations in Burkittsville that are pretty interesting, but I wasn’t as interested in researching them as I was in finding out about the history and beauty of Burkittsville. 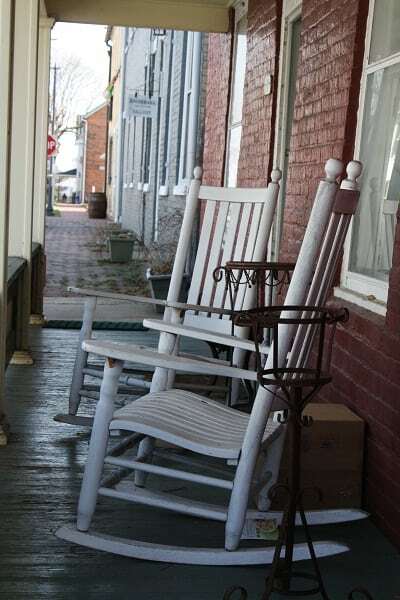 Driving down Route 17 from Brunswick, into Burkittsville, Pam and I decided to turn left onto W. Main Street and drove through this quaint, historic area of beautiful, old homes, gorgeous greenery and cobblestone sidewalks – with a sense of going back in time. 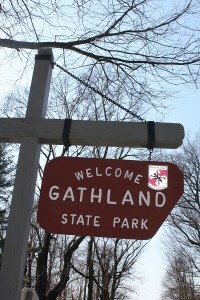 As you continue about 1/2 mile, Main Street turns into Gapland Road and takes you up into Gathland State Park (I believe this is a part of South Mountain). 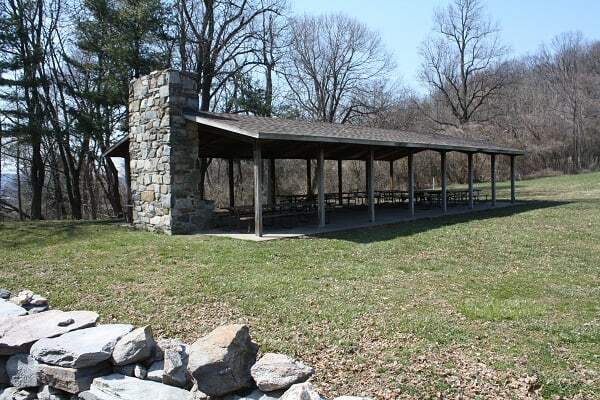 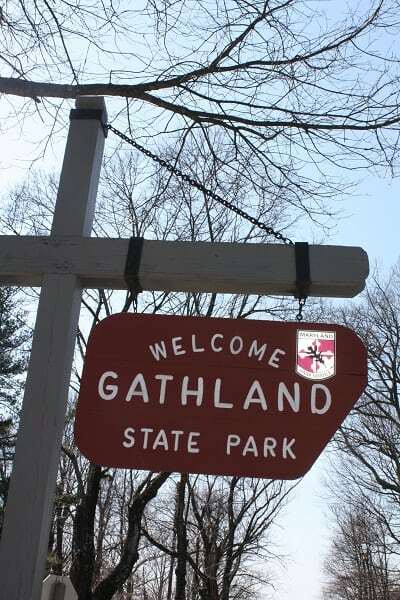 Now, Gathland State Park isn’t officially part of Burkittsville, but it is so interesting and beautiful that we wanted to include it in this post. 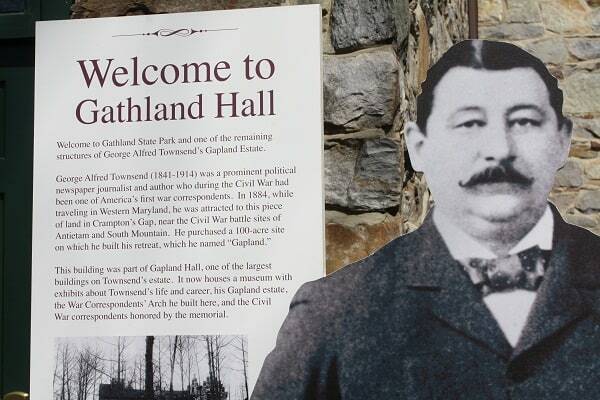 Gathland State Park actually was once the mountain home of a Civil War journalist named George Alfred Townsend (his pen name was Gath). 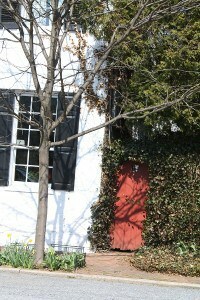 In the late 1800’s, Mr. Townsend designed and constructed several buildings on his property, some of which remain today. The Main Hall and the Lodge were reconstructed in the 1950’s. Mr. Townsend also constructed a 50 foot tall monument, in 1896, to commemorate Civil War correspondents. If you visit this park, you will also notice that the Appalachian National Scenic Trail runs through it and also passes the monument base. 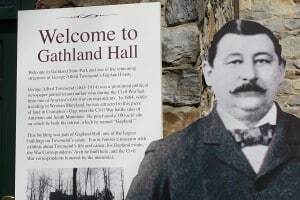 Pam and I visited Gathland State Park on a weekday, but if you go on a weekend during the Spring, Summer or Fall, the museum (which I believe is the building that was once Mr. Townsend’s home) is open, and you can go inside and explore artifacts from Townsend’s life, and from the Battle of South Mountain -the park is located in Crampton’s Gap, which witnessed a portion of the Battle of South Mountain. 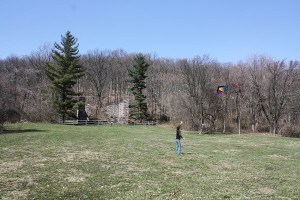 The grounds of the park, however, are accessible all year round. As we drove back down the mountain into Burkittsville, we noticed a small abandoned church and cemetery just off the road, kind of hidden in the woods. 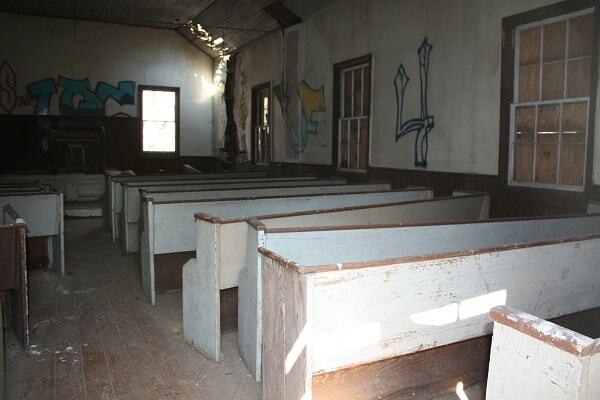 There isn’t a driveway or road to get to this church, so we stopped on the side of the road to check it out. 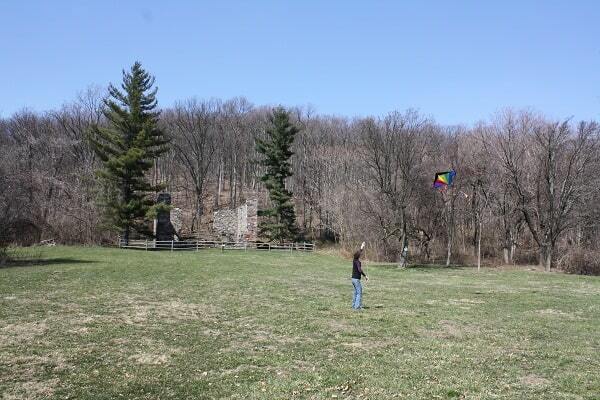 What a picturesque scene! 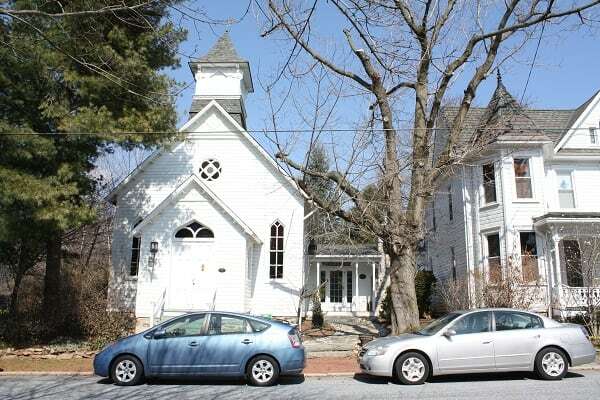 It turns out, after I researched this online, that this little church was once the Ceres Bethel African Methodist Episcopal Church. It originates from 150 years ago, which explains why there is no driveway to get to it! 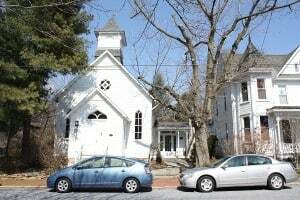 According to this Gazette article from 2008, this church attracted many freed slaves and was one of the oldest African-American congregations. Unfortunately, since it officially closed in 1984, there has been vandalism to the church and evidence of ghost-hunters left there. 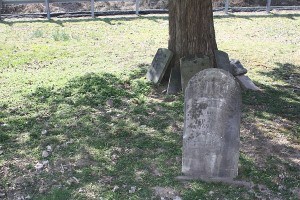 As a matter of fact, in 2003, a Reverend Richard Dyson (retired) and several members of Mount Zion AME held a night-time service at the church to rid it of evil spirits. 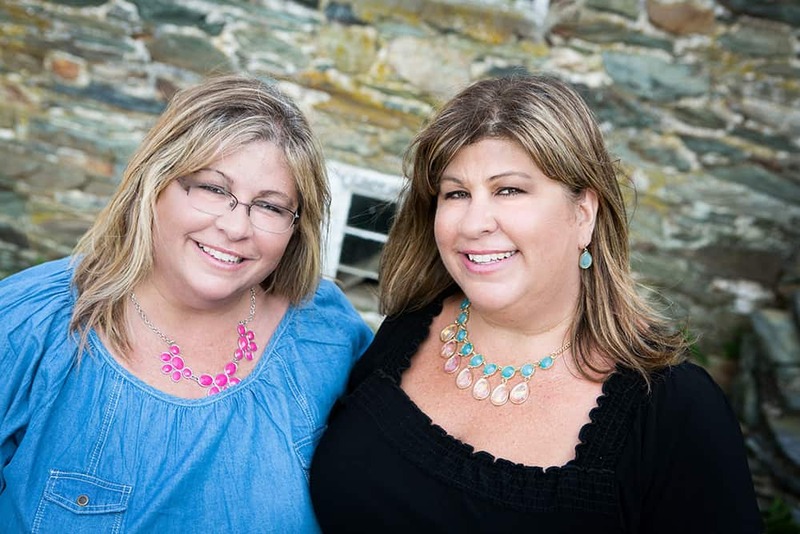 We drove back down through Main Street and took lots of pictures – it’s so beautiful and serene that it’s difficult to put your camera down! 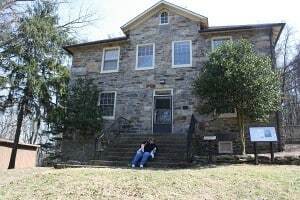 Although Burkittsville is quite small, we ran out of time and couldn’t explore the other historic buildings and sites that it has to offer. 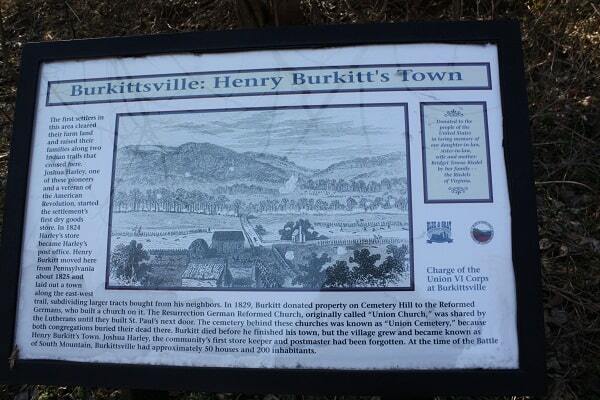 The simplicity and “untouched” nature of Burkittsville really explains why the town’s motto is “Neighbor helping Neighbor” – I wouldn’t mind calling myself a resident of Burkittsville one day!